Those days are long gone whenever the main concern lies with web designing norms. 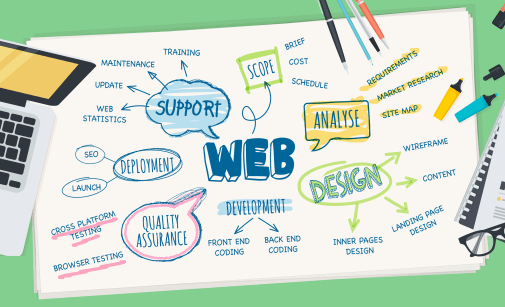 Novices find it extremely difficult to plan their website and design it well. Therefore, it is mandatory for you to get along with us at Alliance International IT and hire web designer, right away. We are working with only the veterans around here, providing you with top-notch quality services. If you want, you have the liberty to hire designers under full time, part time and under hourly basis. We would help you with steps to hire a web designer, and make a requisite choice for the best. Whenever you are planning to hire designers, it is mandatory for you to learn more about the services available. That way, you can be rest assured on the quality of services, as expected from them. Depending on the package you choose, you can hire flexible website designers from our side. They are trained and can eve help in customized services, too. You will receive only best help from our clients, without compromising quality of work. As mentioned already, there are separate packages available under web designers. Whenever you are planning to hire a web designer, make sure to check out the packages first. To match flexible requirement of clients, our company has segmented web designers under three basic packages; full-time, half-time and hourly basis. You get the opportunity to make the right decision, as and when required. The prices of these packages will vary, too. However, while hiring full time designer, you have to invest maximum amount of money. In case, you have a tight budget plan, you should always try to work on the hourly basis package from Alliance International IT. Here, the web designers are solely going to work on hourly basis, depending on the project requirements. Here, the work will be done within the official working hours. If the work is not yet finished, then you won’t have to pay a single penny for that. And our company is free from any setup fees. Billing can now be done in blocks of 10 hours or so. We know that not all can afford our full-time web designers. So, we would like you to hire web designer within the affordable rates. There is a minimum commitment from our side, which you are likely to enjoy from our package. It can be a flexible one. Every penny you are planning to spend for us will be worthy enough. You are not going to be asked to pay anything extra. We have set a flat fee for our website designing packages and designers, too. If you want to add anything extra to it, then you might have to pay more. The number of days under minimum commitment keeps on changing under the packages. It can vary from one sector to another, depending on chosen requirements. We always adhere to the strict deadlines, and will finish the work within your said time. We have a separate team of designers, who can mold their thoughts as per clients’ requirements. So, working on customize website design is not a tough call from our side. We have a dedicated team, all here to offer you with quality help, from start till finish. If you browse the internet, you will come across so many companies, offering web designers. 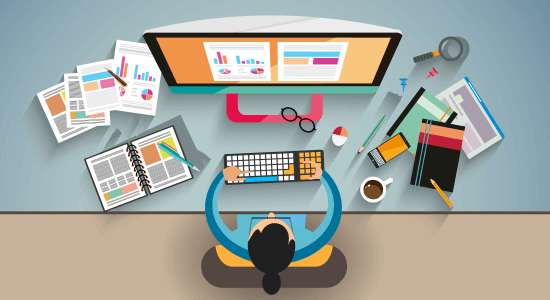 What are the reasons to hire a web designer from our team, and not from others? What makes us gain the highest rank in this competitive market? Well, it solely depends on years of practice and experience, which our designers have gained. We worked hard enough to keep up with client’s requirements and fulfill some of the customized needs too. We take up each work separately, and provide extra care and dedication towards it. So, for us, your work is not another project. It is like a sketchy idea, which we will transform into artistic masterpiece. Just give us few days’ time, and we will transform your dreams into reality, in no time. Our team is all set to present a preview before starting with final work. Once approved, there is no looking back. With our designers, gaining proper result is an easy piece of cake. We have worked with so many clients over here, and have provided them with quality help only. You can get the same from our side, as well for matching your project.